When using Vuforia 6.2.10 with Unity Editor 5.6.0f3 on HoloLens, the Y-axis transform of an augmentation, parented by an ObjectTarget prefab, is inverted. Now build and run your application. You should see that the object rotation now matches the rendered augmentation. 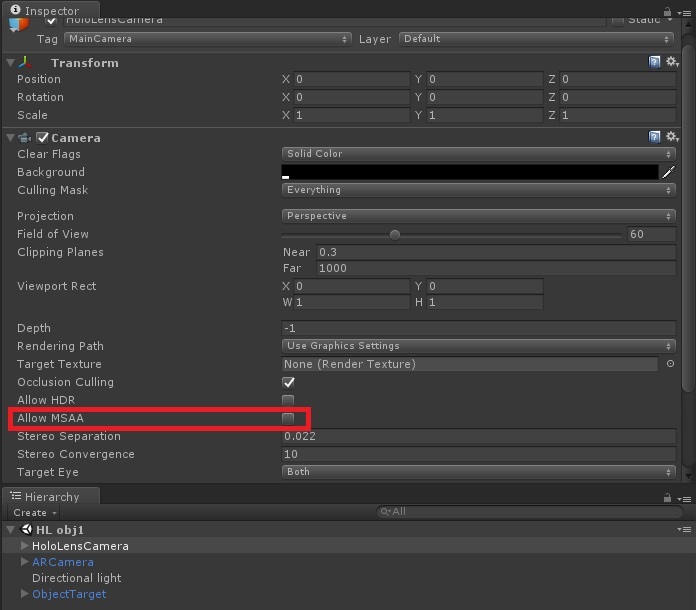 In the Hierarchy view, select "HoloLensCamera"